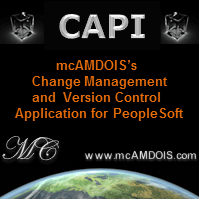 I observe there is a difference in the way we test or consume webservices exposed by Peoplesoft. Through SOAPUI everything works fine. But when i try to use an ESB and send the same webservice request i end up with a lot of errors like "ExternalOperationName is a required field". Could you please let me know how do i proceed with this. I have seen a lot of forums asking this question but none have been able to provide suitable answers. Do you have a more detailed error message or lot. SOAP versions might be important e.g. v1.1 vs v1.2 for compatibility.